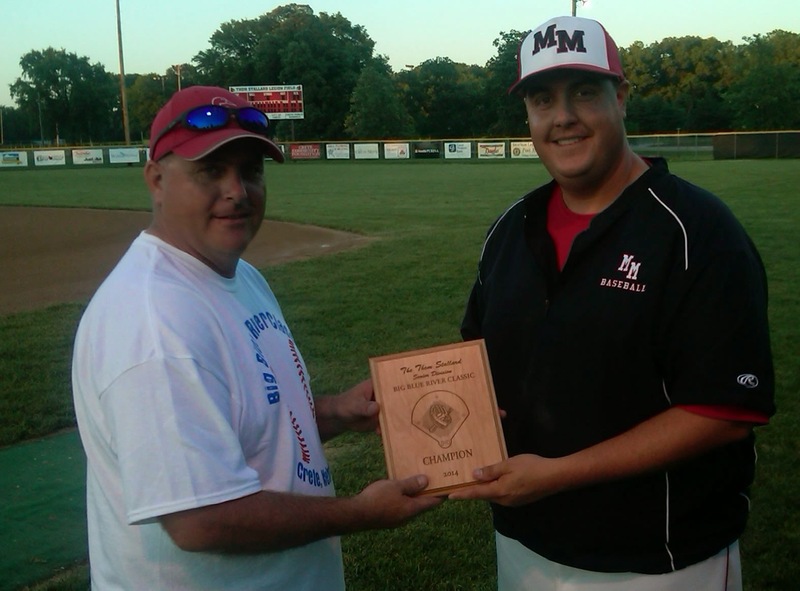 Bob Gross-Rhode Mount Michael ’87, President of Crete Legion baseball presents the championship plaque to Knight coach Brent Suing ’99 . 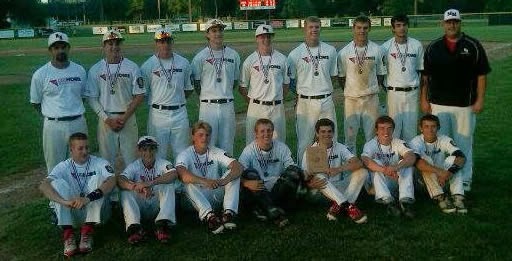 Mount Michael defeated Crete 15-14 for the tournament championship in 8 innings. Ryan Degener and Kevin Jewell both homered for Mount Michael in the game. Mick Steier got the win in relief of Jonathan Collins .